Crimea State Medical University named after S. I. Georgievsky (CSMU is the institution of higher medical education situated in Simferopol (Crimea, Ukraine). 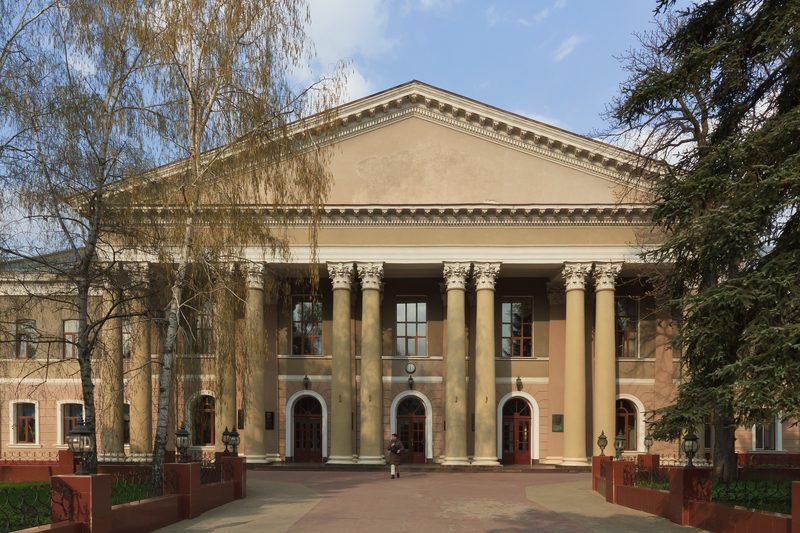 According to some independent estimations it is one of the most prominent medical schools of Ukraine. The university has 6 faculties and 54 departments. As at 2009, 4700 students are studying here (approximately 1700 are foreign citizens from 34 countries of the world). The university was decorated with Order of the Red Banner of Labour (1981) and is certified by the International Education Society as AA-level high school. The university is a prominent scientific and medical center of Crimea. More than 50 scientific themes are being carried out here, about 5–10 doctoral and 25–30 master's theses are being defended annually. The university participates in 16 international research programs and publishes several scientific periodicals. The total amount of students is about 4700 (1700 students are foreign citizens, who study in English). The University consists of six faculties: First Medical, Second Medical, Stomatologic, International Medical, Pharmaceutical and faculty of Postgradual Education. The university has 54 departments, medical college, 47 clinical bases and own clinic.